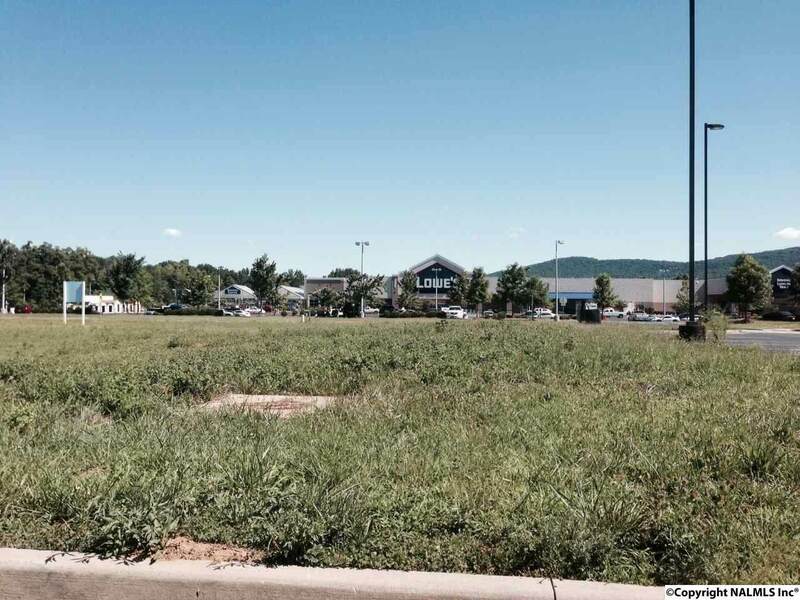 Corner commercial lot along Mountain Cove Boulevard with good visibility/access from the U.S. Highway 431/Sutton Road intersection in Hampton Cove. This tract across Taylor Road from the Walmart SuperCenter and adjacent to the Lowes Home Improvement Center behind Autozone. 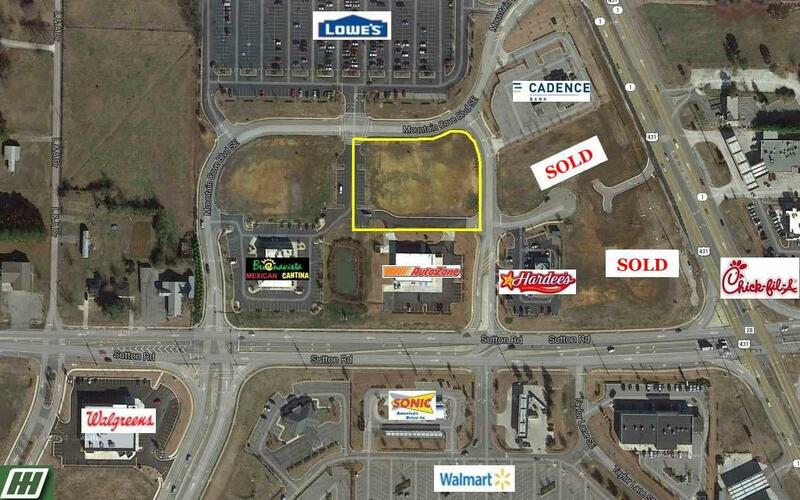 Zoned C-4, this 1.79+/- acre lot has great potential for retail, office, or restaurant development.